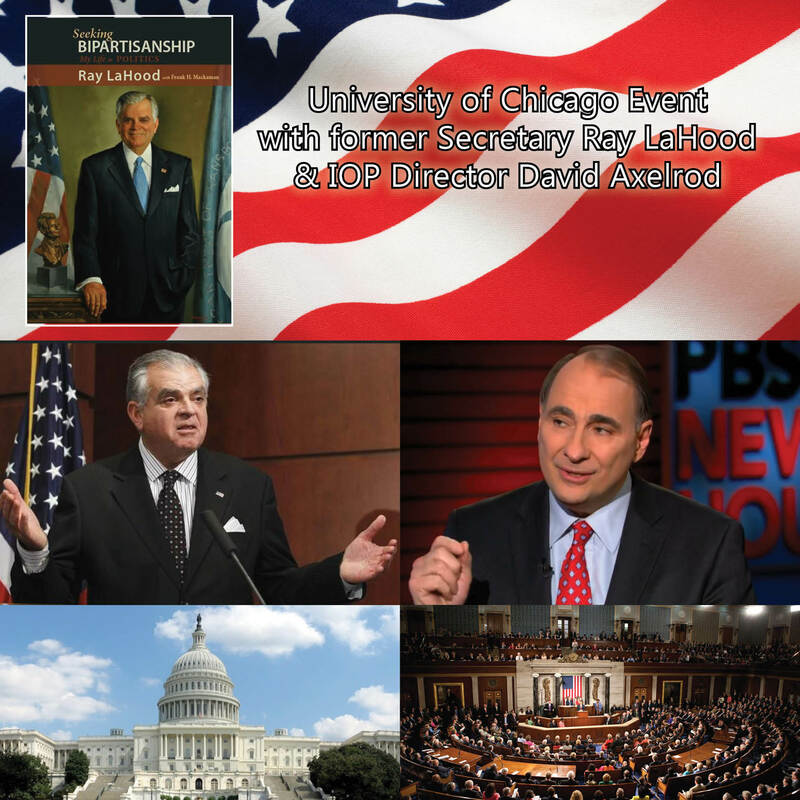 Launching his new book, Seeking Bipartisanship (coauthored with Dr. Frank Mackaman who heads The Dirksen Congressional Center), Secretary Ray LaHood will be speaking at the University of Chicago’s Institute of Politics on the topic that could not be timelier in American politics–bipartisanship. He will be joined by David Axelrod for this event which will take place this Thursday (November 5) from 6:00 PM to 7:15 PM (CST). Register now to reserve your spot at this event. Registration is free and open to the public. Signed copies of Secretary LaHood’s books will be available at this event. You can also order the book from the Cambria Press website. See also last week’s event when PBS Newshour anchor Judy Woodruff interviewed Secretary LaHood about Seeking Bipartisanhip.